We want your stay at our 'Peace in Time' to be comfortable, enjoyable and memorable. 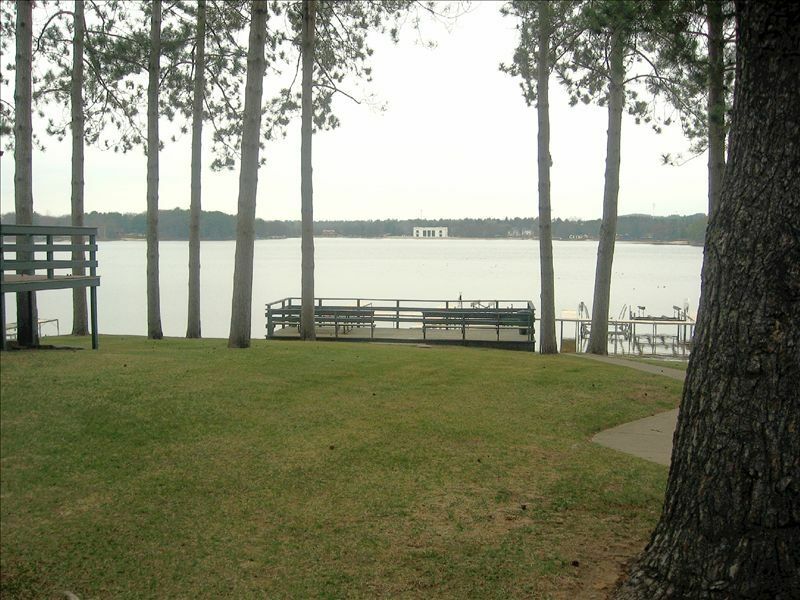 We offer our privately owned 3-bedroom condominium providing beautiful views of Lake Delton, just a few steps out the front door. Enjoy the lake view while sitting on the common deck with your favorite beverage, or watch the kids swimming in the lake or catching fish. There is an in-ground association pool right out the front door for your enjoyment. There is plenty of room inside for the kids to play games on those rainy days or just sit back and relax in the large kitchen/living area. Each of our bedrooms have a theme - the Master Bedroom - is our Captains Suite with a nautical decor. Our water room is adorned with pictures of sailboats and lakes, then we have our Safari room - with a statue of an elephant and tiger. Our motivational room features a queen sized futon along with motivational wall hangings and some antique sport equipment. We are within minutes to all the Dells' attractions, including Noah's Ark, Tommy Bartlett Thrill Show, The Ducks and many fine restaurants. Come be our guest in our luxurious family get-away. We provide everything you need at an affordable price. We had been looking for property for several years and never even thought to look in the Dells. But once we found this it became our 'Peace in Time.' It is close to where we live and are able to use it ourselves when it is available. We enjoy the pine trees, the beach, the quietness, being at the Dells and having all the amenities available to us, but still feeling like we are on vacation as soon as we step across the threshhold. There is salt/pepper and many spices available. Has all the amenities of home. Sandy Beach, Lake Swimming, Picnic Area, Volleyball area just behind the sandy beach, fishing, enjoy the sunrise while sitting on the common deck enjoying your first cup of coffee in the morning. Clean and cozy place with nice artifacts throughout the house. Facilities were great, clean and much bigger than the photos made it seem! There ended up being 4 of us (less than planned for) and this place had more than enough room. We stayed here Friday to Sunday and snowboarded at devils head Saturday during the day. Property was clean and had everything we needed. Would love to stay here sometime in the summer! We arrived late Friday night and woke up Saturday morning to realize we could see the lake right from the parking lot. Great place, would recommend to anyone. Time away with the girl's! I was recently injured in an accident. I found the condo easy to move around in with a walker. The condo had everything we needed to feel at home. Bedrooms where large and beds comfortable.Many extras that we didn't have in are last rental. It was cozy and clean.. OH the swimming and fishing items are behind the front door. So much closet space we didn't find them. I hope we can get back to Cindy's home again soon. Very spacious place and was so nice to relax after a long day of adventures. Everything was very clean and many amenities. Overall, was wonderful! Beautiful and peaceful setting. Family-friendly. Perfect vacation spot. Rooms are large. Gathering areas are big and cozy. All of our family truly felt at home. Pool area is very nice. We enjoyed having our morning coffee down on the lakefront deck. Not noisy. Very inviting. Perfect place for a family gathering. We are so grateful that we were able to be a part of your anniversary family get-together. We are so glad that you all felt at home and enjoyed yourself. Sometimes, all we need is peace and quiet and water to re-focus and re-energize. We hope to see you again in the future!! Cascade Mountain Ski Resort is less than 15 miles away. Devil's Head Resort is less than 30 miles away.